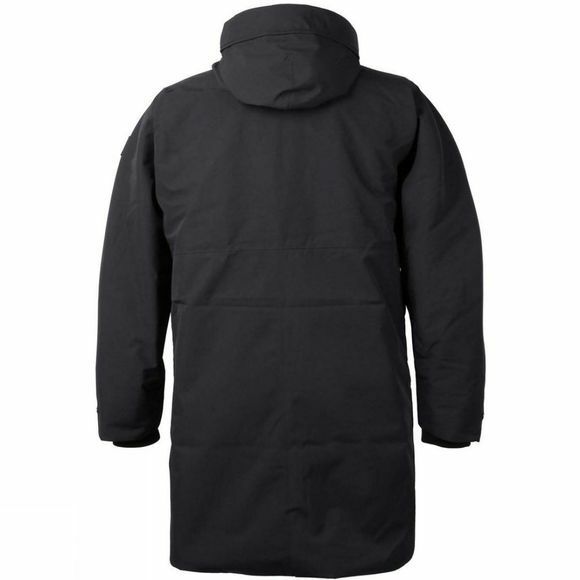 The Mens Kenny Parka from Didriksons is a thinner lined men’s parka in a longer model with a clean design and two discreet hanging pockets on the front. The parka is waterproof and windproof with taped seams, perfect for colder autumn days. 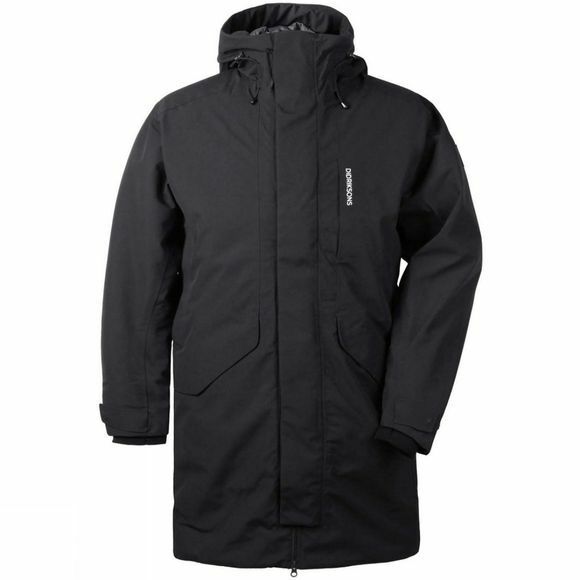 The parka is made from a soft polyester fabric and has a drawstring channel on the outside of the hood as a neat detail. Cuffs and hood can be adjusted as needed. The parka has a two-way zip down the front and a high, comfortable collar that protects against cold winds, as well as a fixed hood. PFC-free water-repellent finish.